This is a condition where one or both kidneys become stretched and swollen. It does not generally cause any long-term problems assuming it’s diagnosed and treated promptly. However, in severe cases and left untreated, complications may set in and the symptoms can then become chronic. It appears that Bayerische Motoren Werke has been masking the gravity of its condition from close friends and family, although recent sightings (most recently at the Paris salon in early October) lead to fans and onlookers expressing their mounting concern on social media. Allegedly, medical experts remain baffled by the extent and severity of Bayerische Motoren Werke’s nephritic distension. Observers are now suggesting that the 2017 hiring of Slovakian nephrologist, the eminent Dr. Jozef Kabaň, points to a longer-standing condition than first believed, but unofficial sources have speculated that the world-renowned specialist has become powerless in the face of such an advanced onset of the disorder. Fans, onlookers and several noted celebrities have inundated the Vierzylinder with their thoughts and prayers and it is believed that a candlelight vigil is being organised, which will take place on the central reservation of the World-famous Petuelring. Sir Elton John is expected to perform. A helpline has been set up for anyone who has been affected by any issues relating from this story. Please don’t blame BMW’s current board of directors because they don’t know any better and are just reiterating what came before them. The rot at Vierzylinder set in many years ago when they unleashed their then American design director. He was the one to start distorting kidneys, he gave us Hofmeister kinks that weren’t kinks, he invented nonsensical surface treatments and he was the yet unsurpassed creator of ham fisted shutlines – and the absolute grandmaster of piles of accompanying hollow utter verbal nonsense. Everything after that was and is just following these footsteps. Not keen on Bangle, then? Bangle cast himself as the provocateur. There is no harm in this: established rules exist to be challenged. And BMW’s design department certainly need a sterner set of parameters to work from right now. Ah yes, the Bangle defence. An old, rather shopworn saw by now, I’m afraid. Of course to pretend his influence hasn’t been keenly felt would be laughably naïve, but to suggest that all responsibility lies at his door simply won’t wash.
Firstly it betrays a fundamental misapprehension of how much influence a design director – any design director actually has within a carmaker, especially one the size of Bayerische Motoren Werke. Bangle was charismatic, certainly, persuasive, definitely, but others signed off on the cars he and his design team proposed to senior management. 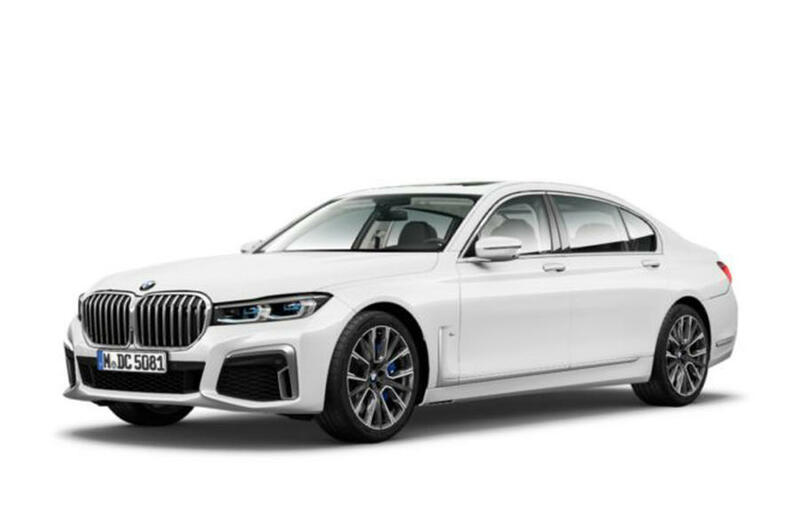 Just as BMW’s masters were responsible for pressing the green light on the E65 and its antecedents, the current corps holding the fort at the Vierzylinder are entirely culpable for sanctioning the gaudy, disjointed, hyper-aggressive appearance of all current BMW products. Forgive them, for they know no better, some say. Well frankly, if indeed they do know no better, surely this suggests a lack of the basic competency required to oversee a motor company? The rot starts at the top. CB was equally responsible for Frank Stephenson’s Mini as he was for Van Hooydonk’s E65. I doubt that truly good creators like Leonardo would have needed, let alone accepted, editors of any kind. But I firmly believe that any revolutionary needs an idea of what he wants to achieve because having a positive concept is the difference between a revolutionary and an anarchist. Overturning a set of existing rules without anything to replace them is chaos, not revolution. That BMW board members didn’t see that is no surprise. Typical German managers of a certain age group aren’t about properly running a company but about being called heroes by the media. And if one group of managers gets called heroes by letting an anarchist loose on the core values of the brand the next bunch is continuing this approach because they also want to be heroes. Daniel Goedevert hit the nail on the head when he stated that the higher up in a hierarchy you are the more the windows to the world turn into mirrors and when you’re at the top the only thing you see is your own image (literally and metaphorically). There is little doubt that CB was a revolutionary, and equally little debate about the notion that he was not interested in harmony or accepted forms. There was (it is believed) no little opposition within BMW’s FIZ engineering centre over his approach and one can certainly ask whether BMW was in retrospect the ideal repository for his talents. Additionally, it’s perfectly valid to posit the view that there is little logic in overturning a hegemony without having a clear idea about what you plan to replace it with – a point made on DTW in an earlier CB piece by this author. But all of this dissection of CB’s legacy is to my eyes a side issue to the current situation, which appears even less rooted in logic or indeed having any particular end in mind. If anything, it smacks of panic, which is not a state of mind likely to have been shared by CB’s overseers. But as correctly pointed out by another commenter, DTW is a small and exceedingly uninfluential minority. (we wear our tagline with no little pride) However the problem with the pendulum analogy is time. I’m not sure how much of it the motor industry (as we currently recognise it at least), has. I don’t think is reasonable to blame Bangle for the current state of affairs. Assuming this to be the case, I guess they’re just appeasing the kids in the design department. Or they know something we don’t regarding the continued commitment of the Quandt family to porcine development..
May I offer a contrarian viewpoint? Is it not actually the case that BMW, Mercedes-Benz et al are simply responding to what they perceive to be the taste of their prospective customers, or at least the great majority of them? It would be perverse in the extreme for any manufacturer deliberately to design cars that repel their customers. Why should they assume any responsibility to educate their customers in “good” design? Who, in any event, should be the arbiter of design, good or otherwise? Surely the first (only?) corporate responsibility for automotive manufacturers is to maximise shareholder value, and this means selling as many vehicles as profitably as possible, by giving the customer what they want (within the restrictions of all applicable legislation)? Here on DTW, the journalists and amateur contributors are actively interested in automotive design and we like to think of ourselves, to a greater or lesser extent, as design literate. We find much to criticise in current design trends but are, however, a small and exceedingly uninfluential minority. Maybe we just have to grit/grind our teeth until automotive design reaches peak vulgarity and the pendulum swings back again? I guess they are actually deliberately repelling customers. At least the ones who want the BMWs and Mercedes of old. Why? Because this seems to be a shrinking segment, and more money is promised elsewhere. For the old customers it’s either swallow what they fling at you or seek for alternatives (which often just offer the same aggressive and vulger style). None of this is cheerful reading. Yes, the board were to blame. I’ve seen CB in action. I spent time at The Rover during the BMW days, and CB was a regular visitor to Gaydon. Somewhere between the tailor of the Emperor’s new clothes and an Evangelist laying on hands is the CB school of design. Regardless of how good or bad the design proposals he championed were, the instability left in his wake was caused by the questions he posed with them. CB rarely gives an answer to the question he poses. Another question is a more likely response. Linear thought is not normal. There is no box to think outside of. Many years working in France have exposed me to alternative logic. I am convinced that CB is a Shadok emissary. Car design is where it is because that is where it must be. Vast changes to the way the car is perceived have taken place in a short space of time. Our relationship with cars will undergo many more changes in a few short years. The style of the car we drive today is important to us because we know that our time behind the wheel in the manner to which we have been accustomed is borrowed. A last word from The Shadoks. Yes, it now appears that Bayerische Motoren Werke’s hydronephrosis has mutated. The situation is grave. Next Next post: Should We, Can We Rewrite The Poems In Sintra’s Heart?